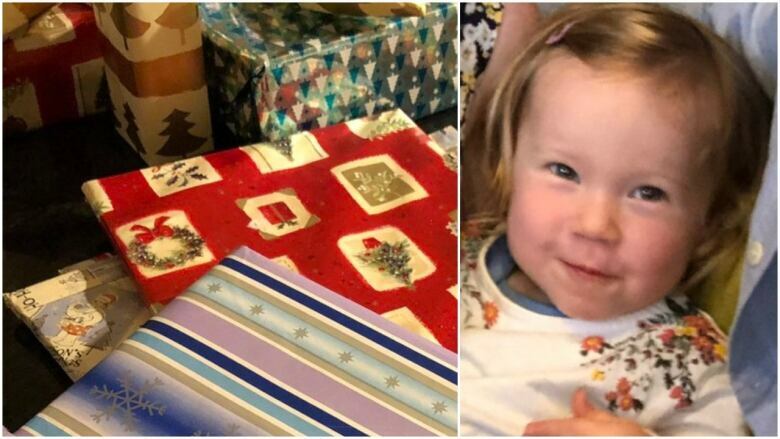 An elderly man in Wales who recently died left a heartwarming surprise for his neighbours: a pile of wrapped Christmas gifts for their toddler daughter, enough for one every year until her 16th birthday. 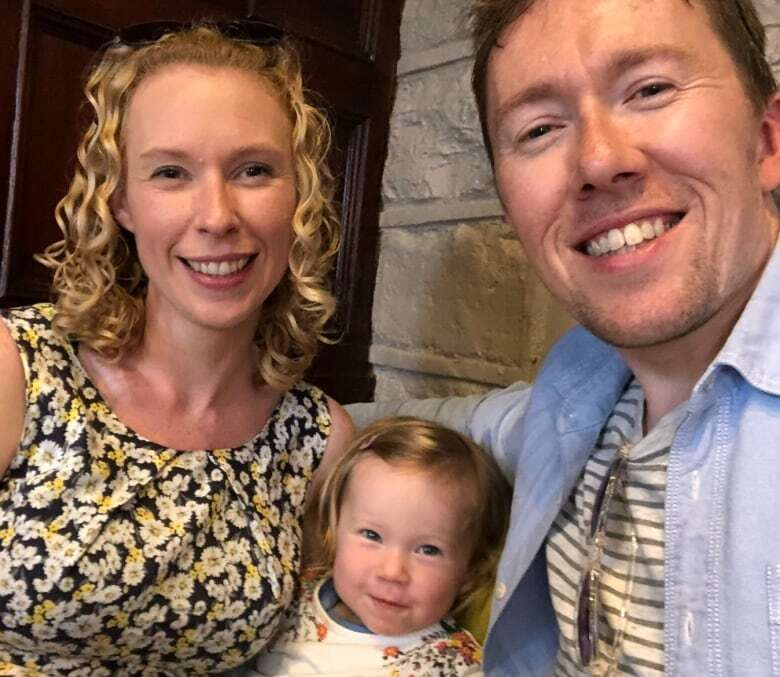 Owen Williams had just sat down to dinner with his wife and two-year-old daughter Cadi on Monday night, when there was a knock at the door. He opened it to find the daughter of his elderly neighbour Ken Watson, who had recently died. She was clutching "what looked like a trash bag," Williams said. But inside the bag were more than a dozen Christmas gifts, all carefully wrapped. "She said: 'These are all the gifts that my dad put away for Cadi … for the next few years,'" he told The Current's guest host Piya Chattopadhyay. "You could've knocked me down with a feather," he said. Watson died in October, at the age of 87. He had been a friendly next-door neighbour to the Williams family since they moved to Barry, Wales in 2015. Before he died, he prepared 14 gifts for Cadi, but left no note or explanation. Her parents didn't know whether they were all meant for this year, or to be meted out over time. Williams took to Twitter to share the act of kindness, and to decide what to do about it. Watson had always told them he'd live to be 100. When the Williams did the math, they realized there were the exact number of gifts for one a year until he would have reached that milestone, in 2032, when Cadi will turn 16. But that left a dilemma: should they open all the gifts now and rewrap them, to ensure they didn't give a 15-year-old a gift meant for a 5-year-old? Williams set up a Twitter poll to decide. He received more than 67,000 votes, with a resounding result: keep the gifts wrapped, and have a lucky dip each year. Their young family now has a new Christmas tradition. 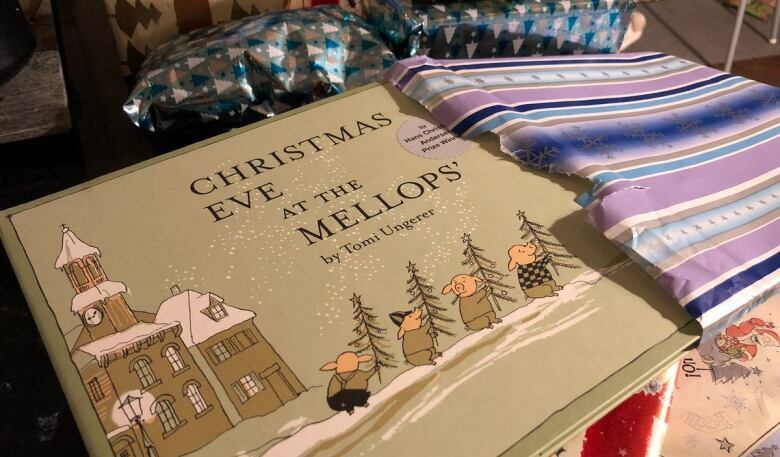 Cadi's mother Caroline couldn't resist unwrapping one nearly immediately, unveiling a "beautiful, hardback, olive-green book called Christmas Eve at the Mellops." After Williams's tweets about the gifts went viral, the book's author got in touch, offering to sign it. "It's been quite an emotional week in many respects — mostly because I haven't slept because I've had so many phone calls, but also it's a very emotional story," he said. Williams described Watson as a daredevil who didn't pay much heed to rules. When they met, Watson asked if he could give a chocolate biscuit to their dog, Wci — despite Williams's warning that chocolate is poisonous to canines. "He ignored me completely, and gave the dog a biscuit anyway," Williams laughed. "And my dog fell madly and passionately in love with him at that point, he was crazy about him." The old man had lived an extraordinary life, he said. He'd been a chef, a baker and a political campaigner, as well as a master woodturner and a member of the Air Force. "Two years ago he wing-walked for his birthday on a biplane, just because he missed his wife and wanted to alleviate boredom." "That's perhaps the sign of a man, you know." Through all that, his kindness and generosity shone through. After Cadi was born in July 2016, he showed up at her first Christmas with an enormous wrapped package. "Inside was this four-foot tall, psychedelic, stripy lion doll, with gangly arms — it was four times as big as Cadi at the time," Williams said. Williams said they always had a good relationship with Watson, and looked out for each other. But a lot of the replies he's received online are from people saying they've never met their own neighbours. "That makes me quite sad, you know, that people don't know their neighbours," he told Chattopadhyay. "These are the people who, in an emergency, would wrap you up in warm blankets … these are the people who will lend you a cup of sugar, or milk for your baby." Christmas is the perfect time to introduce yourself, he said, and start that relationship. "If you can't do that at Christmas, you can't do it any other time of year ... people should meet their neighbours — it's so important." Written by Padraig Moran. Produced by Alison Masemann and Danielle Carr.